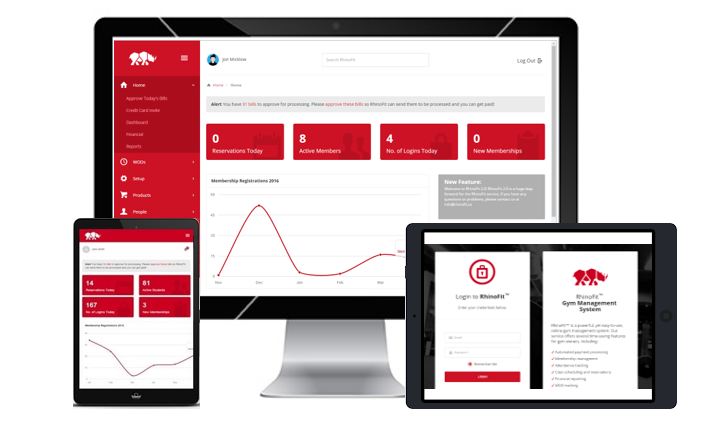 RhinoFit is a feature packed and easy-to-use member management software designed for all types of fitness business models such as gyms, dojos, bootcamps, crossfit, and personal trainers. The versatile RhinoFit platform is available on all of your internet based devices and provides many business management tools you need to run your operations smoothly and efficiently- saving you time and money. We crafted our software to fit a range of your business needs and as a commitment to you, we use your feedback to introduce and adjust features to create the best gym management software. Create custom gym memberships & bill your members automatically with our integrated payment processing. Set up and embed your appointment and class calendar on your website so that your members can reserve classes online or through their mobile app. Build a custom product store for your gym, track your inventory, and sell your products online with our product management tools. Create email campaigns and run special promotions for your gym to send to your potentials prospects or current gym members. Create online waivers and other health forms & capture your member’s signature with a simple mouse grab or finger touch. All gyms, clubs, schools, and dojos are different, that’s why RhinoFit offers many flexible features and is available on all internet based devices. 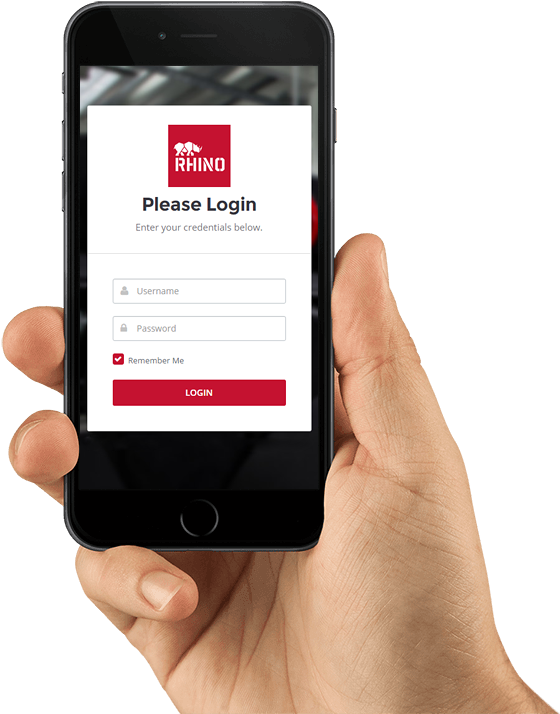 Whether you are on the go and need to check bookings or accept payments from your cell phone, want to use a tablet for the check-in kiosk feature, or want to use a laptop at the front desk to sell products and memberships, or want to check logs for your 24 hour access facility- the RhinoFit software keeps the momentum going! With the RhinoFit door access control system, you can keep your gym open 24/7 through mobile or traditional key tags. You can also add an additional membership offering to clients. Track member visits and control member access through the RhinoFit software. Let RhinoFit™ do the heavy lifting so you can get back to the gym floor. Our sales specialists offer a personalized demonstration of our software to help you navigate and set up your account. RhinoFit supports users in the United States & Canada. New mobile apps for Owners, Staff, Athletes, and Students! Download the RhinoFit on iOS or RhinoFit 2.0 on the Google Play store. I am proud to say that CrossFit Guelph was one of the first CrossFit boxes to run with the Rhino in 2012. RhinoFit is simple, yet elegant and does absolutely everything we need it to. With customer service that is second to none and a continuously evolving platform it is easy to wholeheartedly endorse RhinoFit. The software is easy to use. There have been constant upgraded features with an understanding to the atmosphere for which the product is used. We haven’t had any problems since refunds have become possible through the Rhinofit platform.